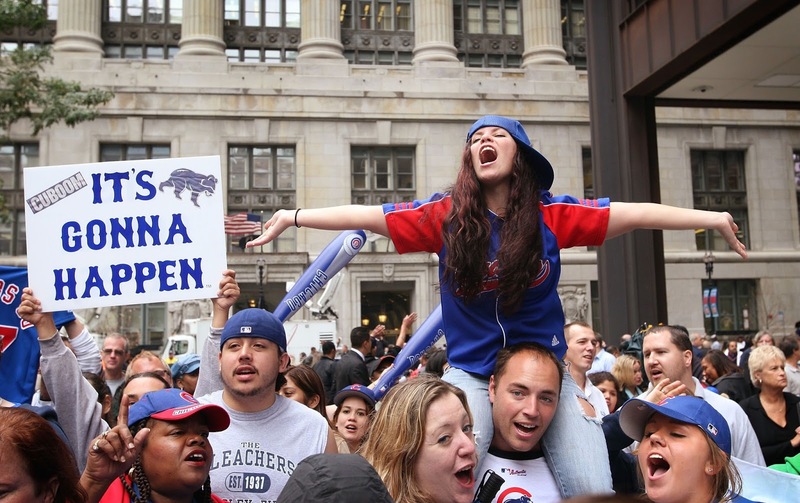 EBL: Cubs vs. Indians Game 7 Rule 5: There Can Only Be One Update: CUBS WIN! Cubs vs. Indians Game 7 Rule 5: There Can Only Be One Update: CUBS WIN! Apparently my Raquel Welch post worked, snapping the Cubs out of their stupor to win Games 5 and 6 and bring this series to a Game 7. So to be fair and balanced, here are Chicago Cubs and Cleveland Indians cuties for a World Series Rule 5. I'm for the real women, not the body paint models.